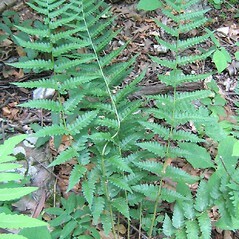 Clinton's wood fern is a fertile hybrid between crested wood fern (Dryopteris cristata) and Goldie's fern (D. goldiana). 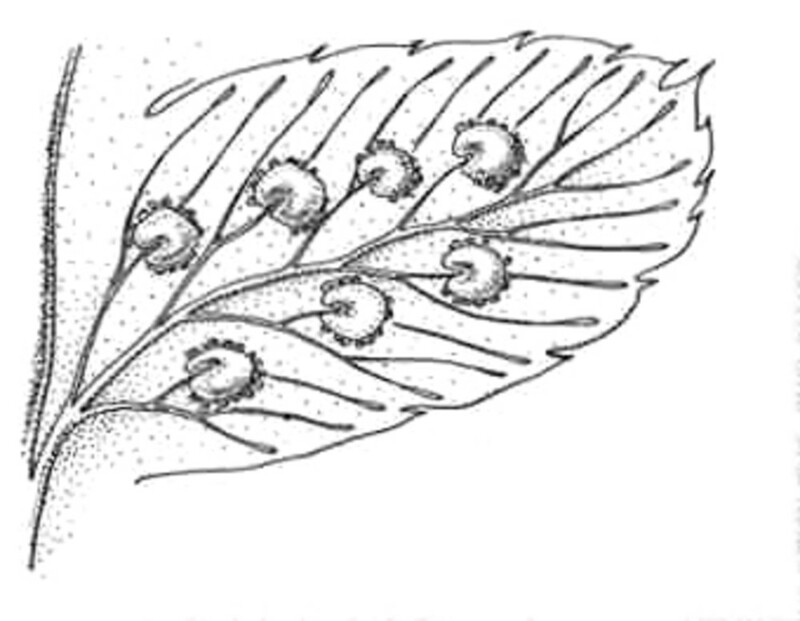 Its pinnae (leaflets) are twisted , so the leaf does not appear flat. basal leaflets triangular to broad-triangular and fertile leaves larger and more upright than vegetative leaves (vs. D. clintoniana, with basal leaflets narrow-triangular to oblong-triangular and fertile leaves relativley similar to vegetative leaves). 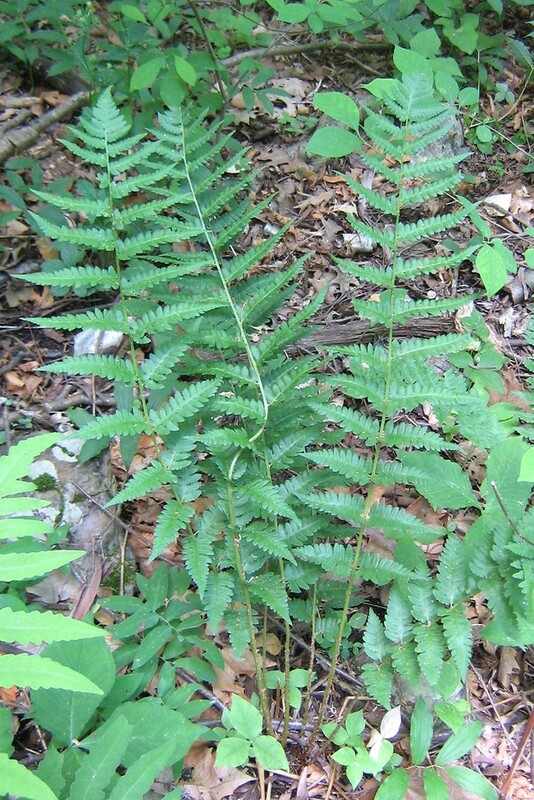 Clinton’s wood fern. Aspidium cristatum (L.) Sw. var. clintonianum D.C. Eat. 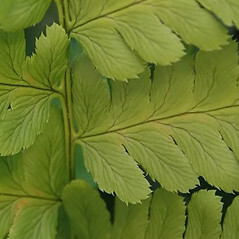 in Gray; Dryopteris cristata (L.) Gray var. clintoniana (D.C. Eat.) Underwood • CT, MA, ME, NH, RI, VT. Wet-mesic to hydric forests and swamp margins. 2×3. 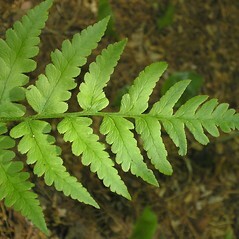 Dryopteris carthusiana × Dryopteris clintoniana → Dryopteris ×‌benedictii Wherry is a rare wood fern hybrid known from CT, MA, NH, VT. 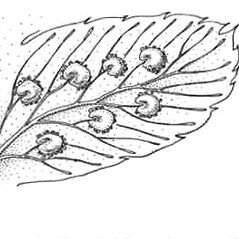 It shows leaf blades mostly 2.5 times divided near base with ± parallel margins and an abrupt apical taper, no stipitate glands on the indusia, and sori positioned midway between the midvein and margin. 3×4. 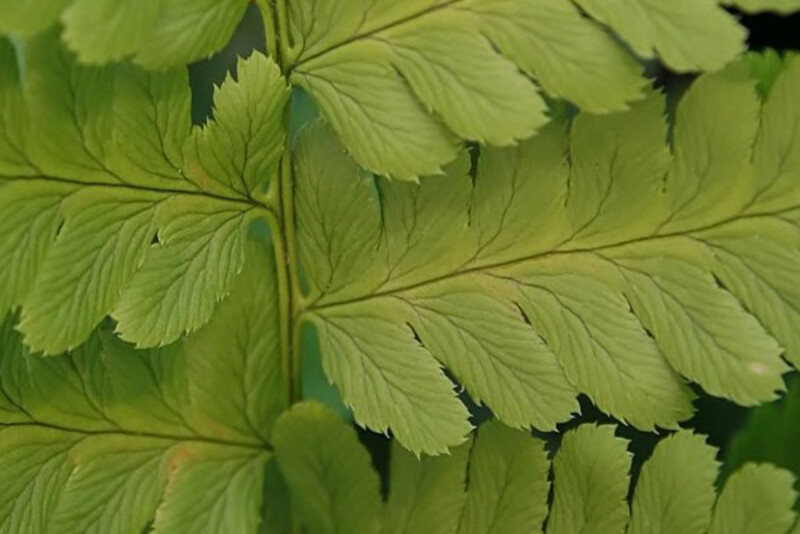 Dryopteris clintoniana × Dryopteris cristata → This rare hybrid wood fern is known from CT, MA, ME, NH, VT. It may be more common than collections indicate but it is very difficult to determine due to the morphological similarity of its parent taxa. From Dryopteris clintoniana this hybrid differs in its triangular leaflets twisted parallel to the horizon and relatively narrow leaf blade. From D. cristata this hybrid differs in its relatively abrupt apical taper of the leaf blade and often shows a moderately dark brown interior region on the petiole scales. 3×7. Dryopteris clintoniana × Dryopteris goldiana → Dryopteris ×‌mickelii Peck is a rare, though sometimes locally frequent, wood fern hybrid known from ME, VT. It could be confused with a robust D. clintoniana. 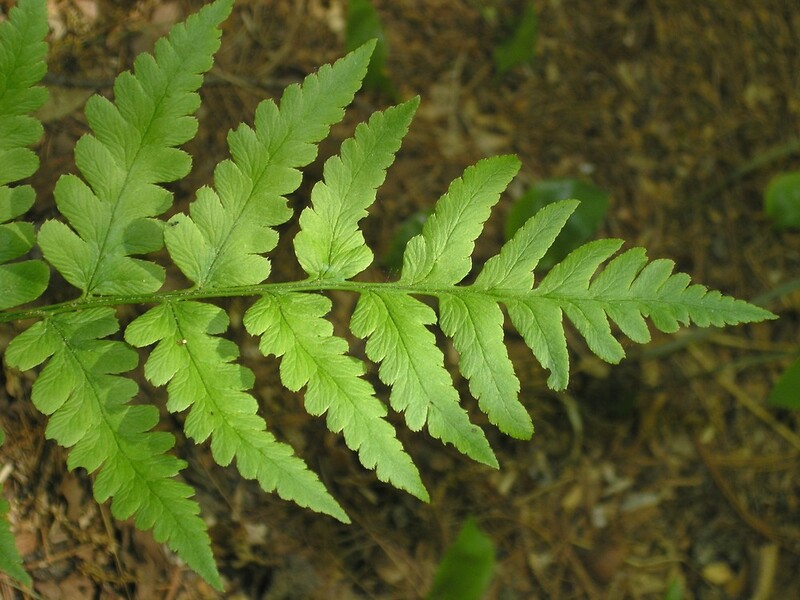 However, unlike that species, this hybrid has oblong lower leaflets, petiole scales with dark brown central regions, and often slightly curved leafules (rather than long-triangular to oblong-triangular lower leaflets, petiole scales commonly light brown, and ± straight leafules).